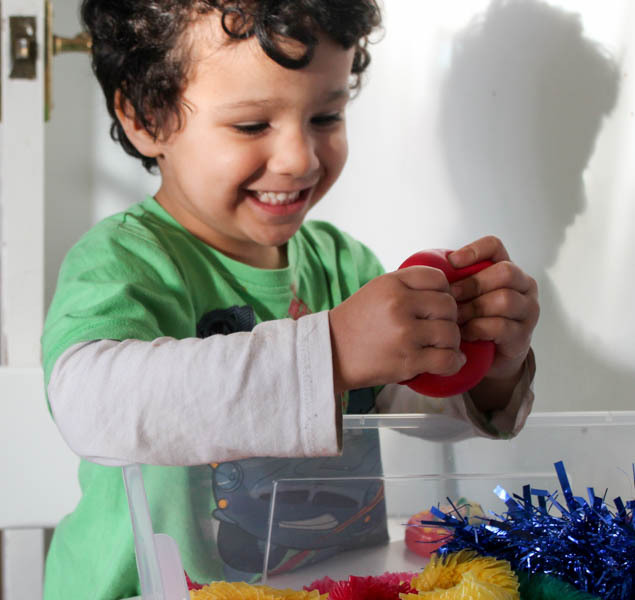 Sensory bins can be so easy to make, and this is definitely one of the simpler ones. 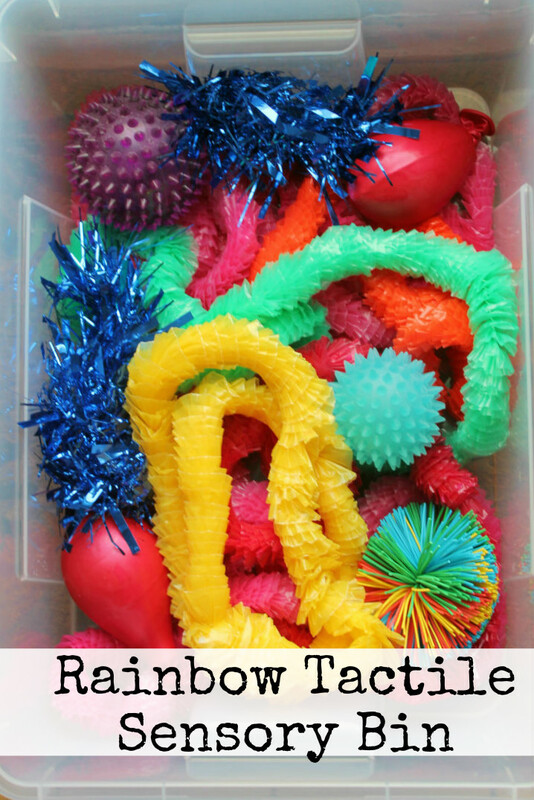 After our Dora party, I noticed that some of the materials had an interesting texture so I kept some of them back and used them to fill up a rainbow tactile sensory bin with lots of different colourful and fun items that would be interesting to touch and feel. As the boys are getting older now (3, 4 and 6), I wasn’t sure whether this would keep their attention but all of them were interested to come and explore it, and Mr R (3) spent a long time with this sensory bin. Balloons filled with water and tied. All of the colours and textures are very inviting. 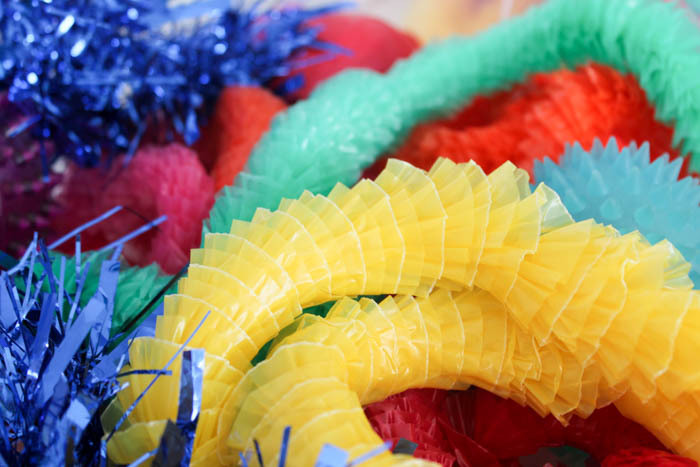 This would also be fine for younger toddlers and for babies, you might just want to be careful about the tinsel for young babies and perhaps remove it for a child who will be tempted to put into their mouth as strands could easily come off. We used a medium sized clear plastic storage box to place all the items. Ours is from Ikea. You will want to use good quality strong balloons for the water, to allow them to be squished and squashed and dropped without bursting. I think most helium quality latex balloons would be fine – ours took quite a lot of squashing with no signs of popping, but you might want to avoid the very cheap thin balloons. He even wanted to feel it on his face! The light balls are also great. 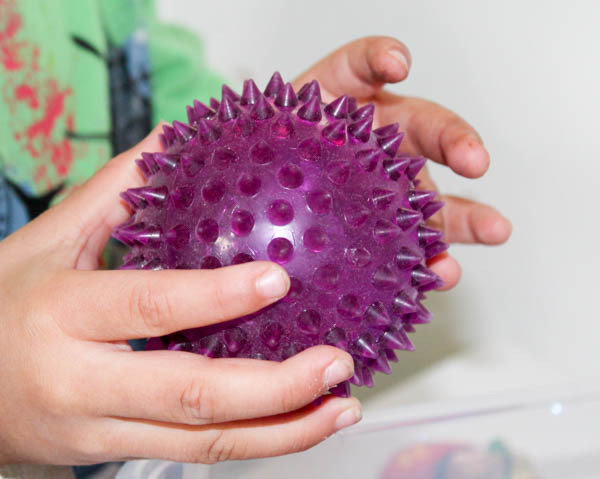 We have a few of these and have had them for years, but placing them inside a new sensory bin always makes them look more exciting and brings the kids attention back to them. If you don’t have any of these, I definitely recommend them. 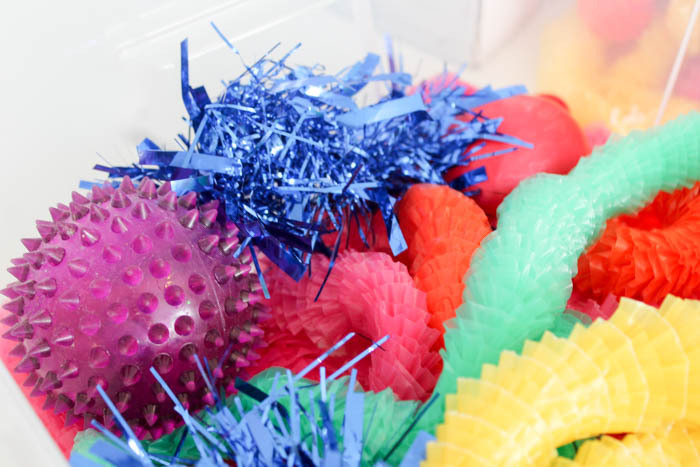 They are pretty cheap nowadays and they are one of those simple but really fun sensory toys that are fun for all ages. As I said, Mr R enjoyed this sensory bin the most but the others had some fun with it too. 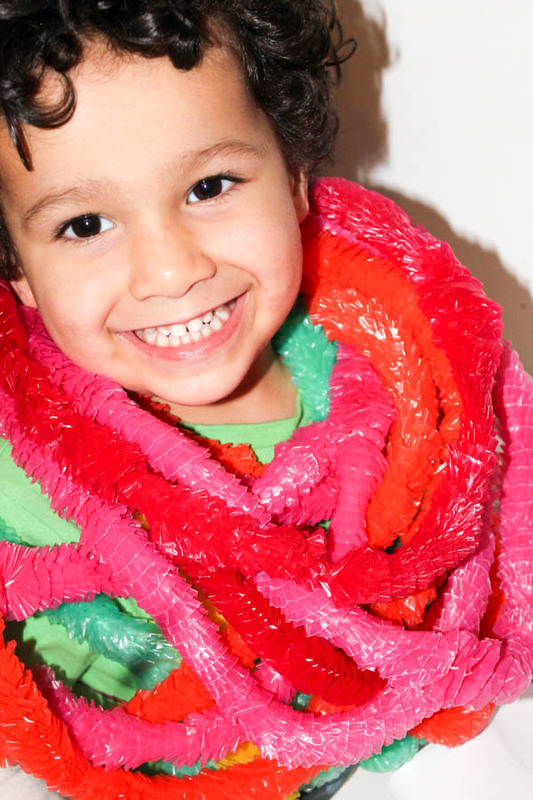 As you can see, they couldn’t resist trying on all the leis too! 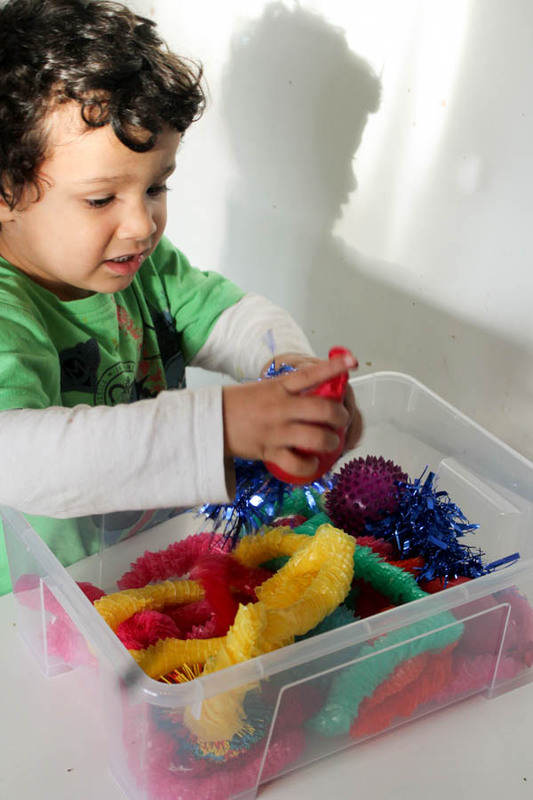 Since this is a non messy tactile sensory play bin, once they were done all I have to do is put the lid on it and put away – there’s no clean up at all which means you can get it out for a just a few minutes here and there if needed. 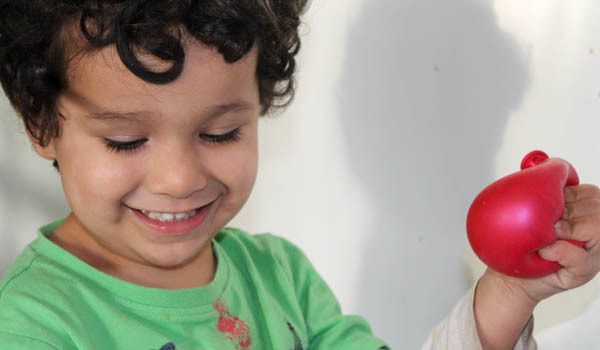 When you hear of “sensory play” especially tactile, you often think of messy play – but it doesn’t always have to be. 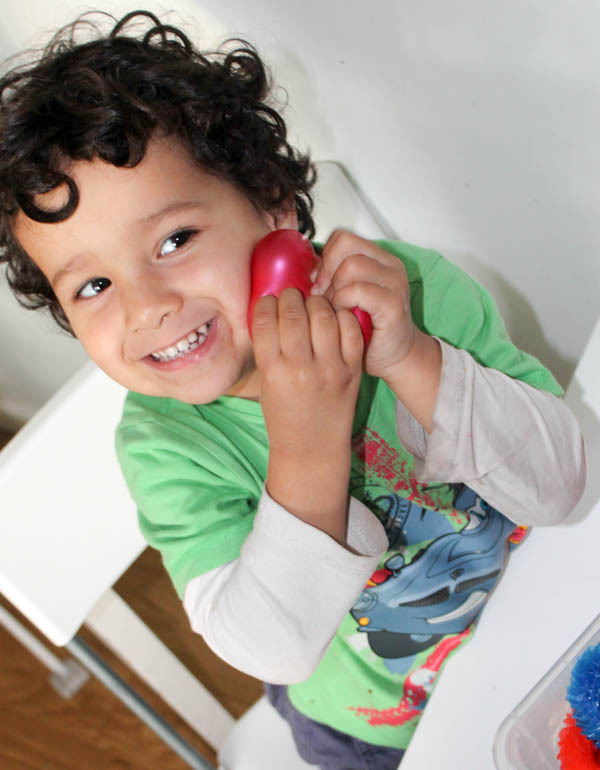 Check this list for more sensory play activities, where you can find all of our sensory play activities broken down into different categories. 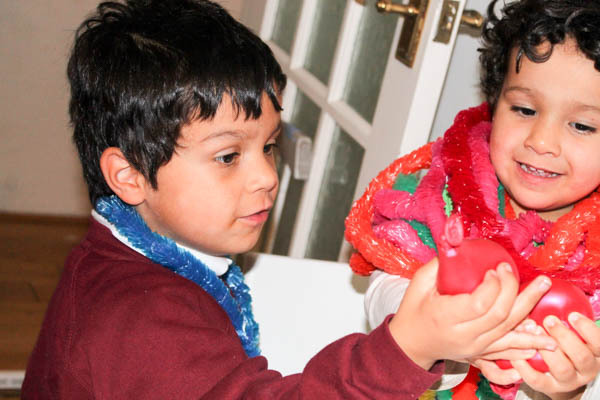 I work with children and I know they love the sensory materials! I love sensory bins. Need to try this with my 6month old. This looks fun for most any kid to explore! Featured you on Mom’s Library!